Saudi Arabia said on Tuesday that it will grant girls in public schools access to physical education, a decision that comes after years of calls by women across the Kingdom demanding greater rights and access to sports. The Education Ministry said it will introduce the physical education classes "gradually" and "in accordance with Shariah regulations." It was also unclear if the classes would be extracurricular or mandatory. The decision to allow girls to play sports in public schools is significant in Saudi Arabia because women taking part in exercise is still seen as a taboo. 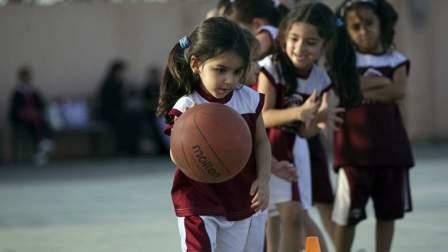 It was only four years ago that the Kingdom formally approved sports for girls in private schools. Women first participated in Saudi Arabia's Olympic team during the 2012 London games. The move to grant girls access to sports comes after years of campaigning by women's rights activists. Access to sports has largely been a luxury for those women who can afford it and whose families permit it. A handful of private sports clubs have emerged over the years, allowing some women to join in female basketball leagues. In recent years Saudi Arabia has approved some licenses for female-only gyms, but membership costs are beyond the reach of many. A new, sprawling female-only university in the capital, Riyadh, has a large gym, outdoor soccer pitches, running tracks and indoor swimming pools. The Education Ministry said the decision to introduce sports for girls was in line with the country's sweeping Vision 2030 plan , a wide-reaching government plan to overhaul society and the economy. It is being spearheaded by the Kingdom's young heir to the throne, Crown Prince Mohammed bin Salman. The plan specifically calls for encouraging the participation of all citizens in sports and athletic activities. It says 13 per cent of the Saudi population exercises once a week. The government aims to bump that up to 40 per cent and raise life expectancy from 74 years to 80 years.